1. Click on the 'CC' button in the video control bar at the bottom of the video. 2. 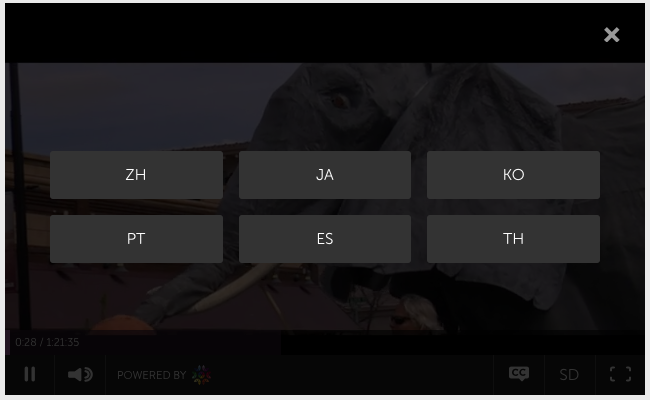 Select the closed caption language you wish to be displayed. 3. 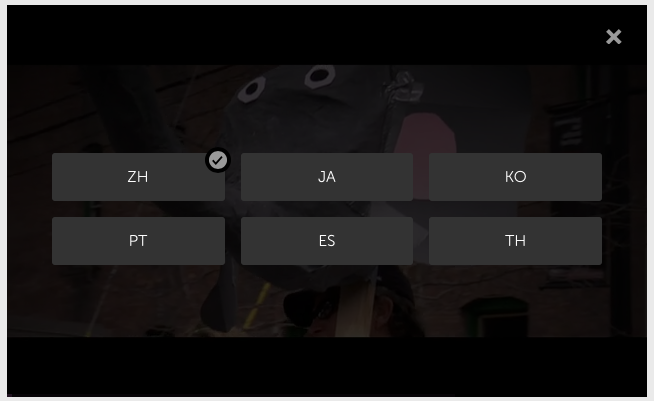 When a closed caption language is selected, a tick will be shown next to the language. Note: Currently closed captions do not work reliably in Mozilla Firefox. This is due to a bug we continue to work-around. For best experience it is recommend that videos with closed captions be viewed in Apple Safari or Google Chrome. 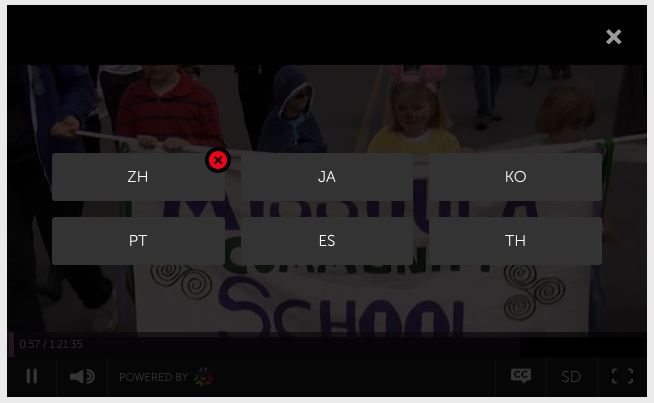 When closed captions are already enabled for a video, these can be disabled by clicking on the selected language again.